Erica of Erica’s Edibles was our host for the Daring Baker’s June challenge. Erica challenged us to be truly DARING by making homemade phyllo dough and then to use that homemade dough to make Baklava. 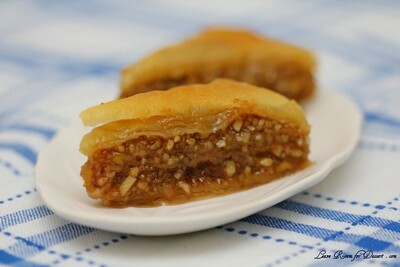 I remember first discovering baklava and its gorgeous sweetness. There used to be a very nice place that sold it near restaurants we used to visit often. Unfortunately (or perhaps fortunately), it isn’t as readily available where I live and work at the moment. Therefore, like most of the food I eat, I only get a chance to eat it – if I get the chance to make it (or someone else just happens to buy or bring some along). I thought this would be an easy challenge for one of the days on the weekend in Winter. Little did I know that the weather would be beautiful – sunny and warm and much better than many of Spring and Autumn days we had. After making the lovely dough and leaving it in the fridge, out into the garden we went and spent most of the day. This meant I had the leave the dough until a week-night to finish off. So I placed it in the freezer, and forgot to take it out the morning of when I would make my baklava. After a few problems with the dough not thawing quickly, it actually rolled out very nicely and we were able to make 10 sheets from the one quantity of dough. The rest of the recipe was made whilst the dough was thawing and those elements were completed very easily, especially with the help of the food processor. Once I poured the cooled syrup onto the baklava though, it was literally swimming in syrup. By the next morning… it was still swimming is syrup so I transferred the baklava to take-away containers to take in to work, and allow more of the syrup to drain. Flavour-wise this baklava was gorgeous. Absolutely lovely and I didn’t find it too sweet either, despite it swimming in syrup. The pastry turned out quite nicely and I am glad I made it (although can’t see myself making it many times in the future). Thanks so much to our host for this months challenge, and making us step outside our comfort zone. my notes: I made the single recipe and it made 10 sheets for my 20.5cm x 20.5cm x 4.5cm dish, the syrup was probably twice what was needed. *Note 1: To have enough to fill my 9” x 9” baking dish with 18 layers of phyllo I doubled this recipe. *Note 2: Single recipe will fill a 8” x 5” baking dish. 1. In the bowl of your stand mixer combine flour and salt. 2. Mix with paddle attachment. 3. Combine water, oil and vinegar in a small bowl. 5. Change to the dough hook and let knead approximately 10 minutes. You will end up with beautiful smooth dough. If you are kneading by hand, knead approx. 20 minutes. 6. 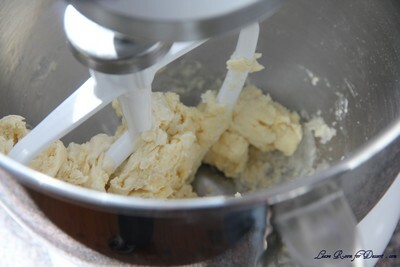 Remove the dough from mixer and continue to knead for 2 more minutes. 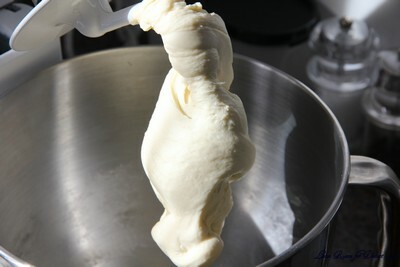 Pick up the dough and through it down hard on the counter a few times during the kneading process. Use whatever means you have to get the dough as thin as you can. I have included a fantastic video at the end of the post on how to roll out your phyllo dough, using a wooden dowel, which worked perfectly for me. You may also use a pasta machine if you have one, or a normal rolling pin whatever works for you. 1. Unwrap your dough and cut off a chunk slightly larger then a golf ball. While you are rolling be sure to keep the other dough covered so it doesn’t dry out. 2. Be sure to flour your hands, rolling pin and counter. As you roll you will need to keep adding, don’t worry, you can’t over-flour. 3. 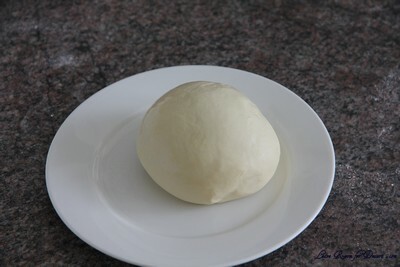 Roll out the dough a bit to flatten it out. 6. Remove; notice how much bigger it is! 7. Rotate and repeat until it is as thin as you can it. Don’t worry if you get rips in the dough, as long as you have one perfect one for the top you will never notice. 9. Set aside on a well-floured surface. Repeat the process until your dough is used up. Between each sheet again flower well. You will not need to cover your dough with a wet cloth, as you do with boxed dough, it is moist enough that it will not dry out. 2. Boil for 10 minutes, stir occasionally. 1. Preheat oven to moderate 350°F/180°C/gas mark 4. 11. Continue layering and buttering phyllo 5 more times. On the top layer, make sure you have a piece of phyllo with no holes if possible, just looks better. 12. Once you have applied the top layer tuck in all the edges to give a nice appearance. 15. When baklava is cooked remove from oven and pour the cooled (will still be warmish) syrup evenly over the top, taking care to cover all surfaces when pouring. It looks like it is a lot but over night the syrup will soak into the baklava creating a beautifully sweet and wonderfully textured baklava! 16. Allow to cool to room temperature. Once cooled cover and store at room temperature. 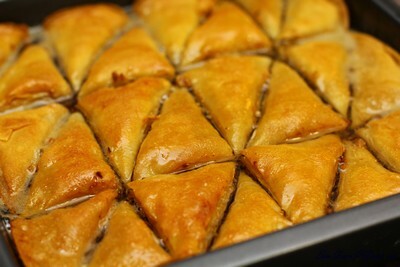 Allow the baklava to sit overnight to absorb the syrup. 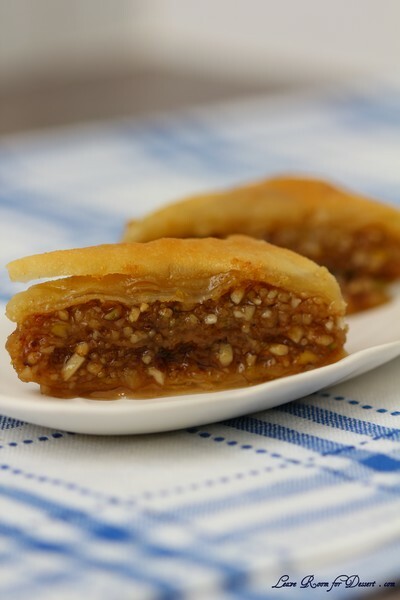 Freezing/Storage Instructions/Tips: There are a few ways to store your Baklava. 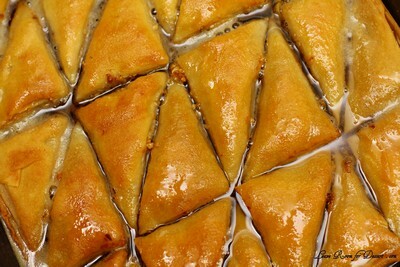 It is recommended that you store your baklava at room temperature in an airtight container. 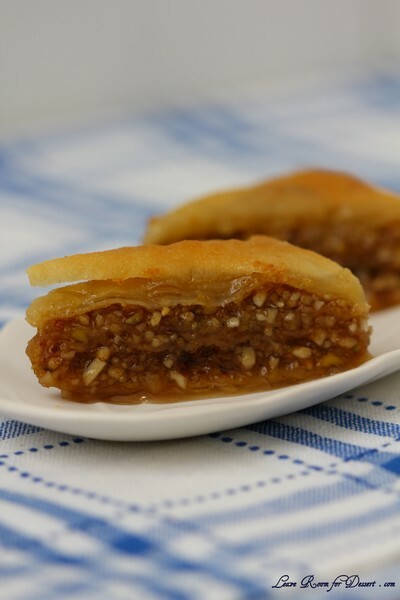 Stored at room temperature your baklava will last for up to 2 weeks. You will notice as the days pass it will get a little juicier and chewier. You may choose to store it in the fridge; this will make it a little harder and chewy, but does increase the shelf life. You can also freeze your baklava and then just set it out at room temperature to thaw. Filed under Cakes, Slices and Biscuits, Daring Bakers, Pastry, Recipes. You can follow any responses to this entry through the RSS 2.0 feed. You can leave a response, or trackback from your own site. How funny as I was just wondering the other day how hard it is to make your own phyllo. Your baklava looks delicious. Your baklava looks gorgeous. I found mine was swimming in syrup too. Lovely job on this challenge! Even with all the extra syrup, your baklava looks like it has the perfect saturation. I had the privilege of trying your yummy baklava and it was almost as good as one my mother-in-law’s (mil) creations! I would have said “as good” but being a Greek mil, I dont want to risk copping a rolling pin over the head, and she doesnt even make her own filo! This is so impressive and it looks amazing! I never knew how much work went into making what looked like a simple dessert. 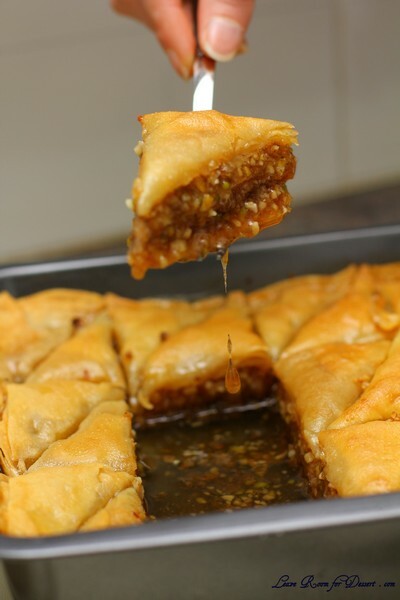 I love baklava – ive tried home made- and will never buy from the shop again! You did a great job! Your baklava is splendid. So perfect and tempting. Kudos. Wow, I was just thinking about baklava today! This looks delicious – I have never thought of making my own phyllo pastry. Oh wow I am drooling looking at the syrup haha! 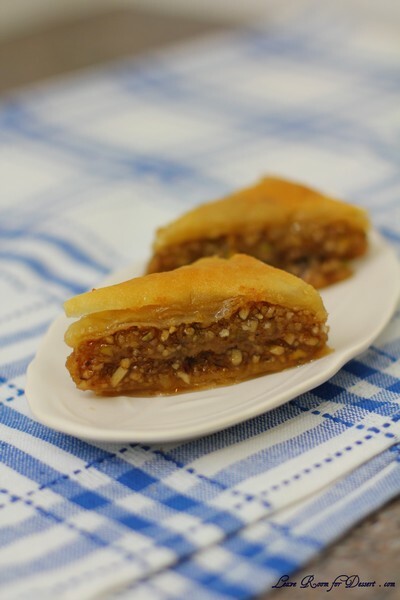 I LOVE baklava – well done on the pasrty – it looks perfect! Great recipe! Simple to follow and the baklava turned out delicious. Thank you! same way after baking. However, it tastes just a good and you don’t have the runny syrup. Might want to try it! I’m going to try the phyllo dough! this looks SO SO SO good. This was delicious!! although I did use store bought dough. MMMMMMMMM!!! 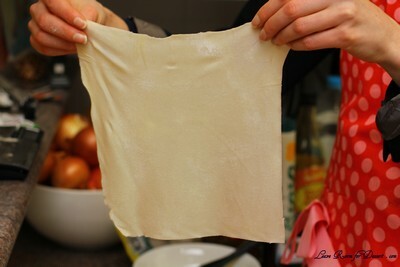 I saw this on Pinterest, and when I noticed that the title said Homemade Phyllo dough I came straight over to see for myself! This looks so syrupy and delicious, and I’m especially excited to make the phyllo dough! WOW! this recipe looks amazing! 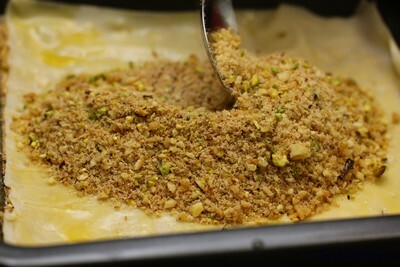 I am a huge fan of Baklava and always wanted to make my own rather than buying it from the store . I am looking forward making your recipe and I can’t wait to try it. Yummy! Your baklava looks lovely! Kudos for making your own phyllo. Having grown up making baklava at least twice every year since I could stand at a counter, I will give you two bits of advice: #1: Do not cut all the way through to the bottom of the pan. 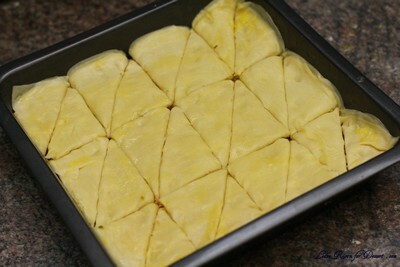 Leave the bottom layer intact so the phyllo does not get soggy from the syrup. 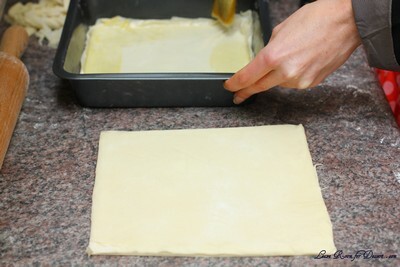 #2: The syrup soaks into the pastry best if one is hot and one is cold. It doesn’t matter which is hot but one must be.